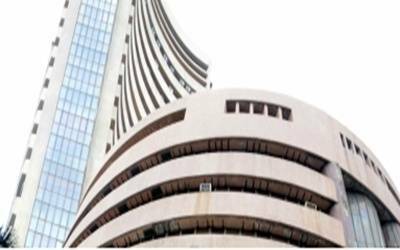 Mumbai, April 4 (IANS) Sensex turned choppy after the RBI announced lowering of the key lending rate for commercial banks by 25 bps to 6 per cent, in its first monetary policy meet of the new fiscal year. Sensex slipped 200 points during the afternoon session of the trade on Thursday. At 2.23 p.m., the Sensex 225.03 points or 0.58 per cent lower at 38,652.09 while the Nifty declined 72.50 points or 0.62 per cent at 11,571.45. Jaikishan Parmar, Equity Research Analyst – BFSI, Angel Broking said the trigger for the rate cut was a weak growth impulse and restrained inflation. GDP growth is expected to be just about 7 per cent this fiscal and 7.2 per cent next fiscal. "With global growth likely to slow by 20 bps this year, lower rates could give the much needed boost. Also, the inflation rate at 2.6 per cent in February was way below the cut off rate of 4 per cent. Even considering the El Nino impact, the buffer of 1.4 per cent as sufficient to cover any upside risks to inflation." Almost all the sectors traded lower on the BSE while the Nifty IT and metal stocks fell the most. The interest sensitive banking stocks were trading slightly lower while the PSU banking index managed to trade in the green.